The SS Rosa delivers a convincing array of suspects - the wife, the mistress, a jealous crew mate. To Ginger's dismay, her name has been added to the list! With a little help from Ginger's dog Boss, Ginger and Haley navigate the clues (those wartime operative skills come in handy). They must solve the case and clear Ginger's name before they dock - and oh, whatever shall she wear? The first book of the Ginger Gold mystery series by Lee Strauss is a clever, fun read with a strong female lead. It’s 1927 and war widow Ginger Gold is crossing the Atlantic from Boston to London. Traveling with Ginger is her best friend Haley who is going to attend medical school when she arrives in London. Boss, Ginger’s Boston Terrier is also with her on the SS Rosa. Together all three have an eventful trip when the Captain is found dead in a pickle barrel! 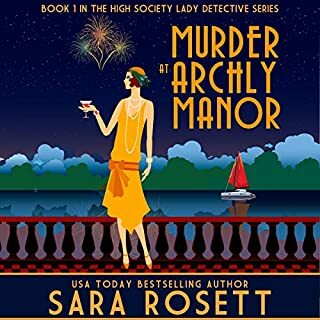 Determined to find out who is responsible for the crime, Ginger teams up with Chief Inspector Basil Reed from Scotland Yard who is also traveling aboard the SS Rosa. 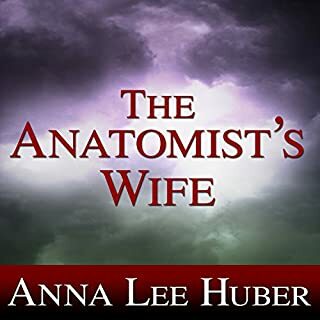 The characters are interesting and the story is engaging. A great introduction to a wonderful series. It is narrated by Elizabeth Kent who does a great job. A wonderful addition to your library if you are a fan of cozy mysteries! I listen to Audio books practically every day as well as read on my Kindle Fire and paper books. 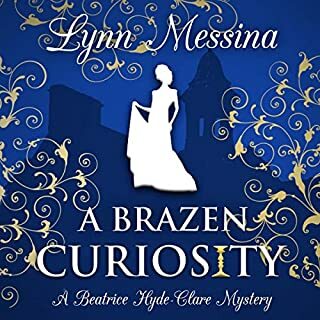 I have to say Elizabeth Klett performs Ginger Gold exactly as I pictured her in my mind's ear after reading Lee Strauss's first four cozy period mysteries. With such a great reading, I was able to simply enjoy the fine storytelling of our author without any distraction. Bravo!!! I highly recommend Murder on the SS Rosa! Give it a listen! Murder on the SS Rosa is located on the SS Rosa, a ship going from Boston to London. Ginger and Haley are unlikely friends who are both on their way to London. Ginger is well off and needs to settle her father's estate. Haley is a nurse on her way to medical school. They became friends when Haley was caring for Ginger's father. The differences between classes in 1923 are apparent in some of their discussions. The narrator did a good job with timing as well as the different voices. I would think it'd be difficult to go back and forth between accents, but she did very well. Well crafted mystery. The narrator brings the story to life. You can almost smell the salt air. Looking forward to the next book. 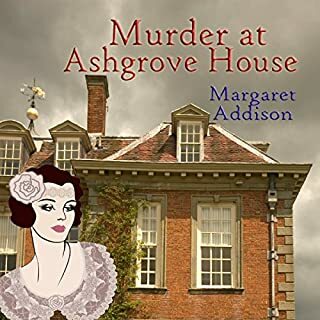 Another 1920s cozy mystery featuring a wealthy widow who loves Agatha Christie books and brooks social conventions. Though Ginger Gold, our protagonist, isn't particularly sassy, and does abide by many conventions, and although she seems to sympathize with the lower classes also appears to express a fair amount of condescension towards them. Mostly the protagonist seems focused on clothing but none of what she focuses on seems to carry much passion. I enjoyed the idea of the story occurring while on a ship crossing the Atlantic allowing the reader to have a lovely self-contained environment for the mystery to unfold. However I found the characters and relationships between them to feel rather unremarkable and easily forgotten. Despite the excellent set up, potential for characters, lovely narration, I never feel really grabbed by anything, never drawn in, never feeling interest or concern or excitement for characters. I also am never really sure why Ginger Gold is even investigating. Ginger's relationship with her companion never takes off for me nor does what I suppose is suggestions of potential flirtation with Chief Inspector Basil Reed. The continued discussion of the dog, Boss, again felt like another detail that could have been more but just landed as not worthy of further thought. Overall the story just feels okay, I'm not mad that I listened or feel that I wasted my time, but I didn't feel eager to hear more tales of Ginger Gold. 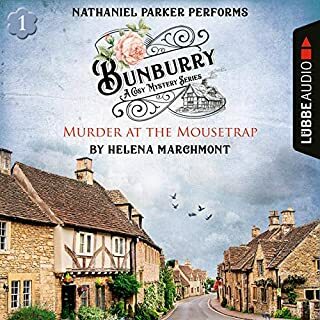 Due to the lovely narration by Elizabeth Klett who does a very good job of creating different voices for each character I am mildly tempted to try the second volume to see if the story improves. Ginger just didn't feel as alive for me nor did the relationships and bonds the character was engaged in. I don't feel a strong dislike for the story, it is better than some I've read, but I would've have liked to be drawn in more and connect more with this character and I simply don't. 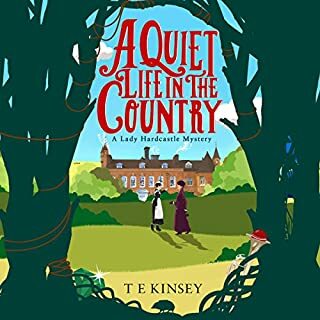 I really enjoyed this period cozy mystery set in the 1920's. I enjoyed the ship setting and the characters. This book was right up my alley. Haley was a little more serious than her friend Ginger, but I liked both of them. There was also a dog, Boss, in the book - Ginger's Boston Terrier. One funny line in the book was when someone said something like "you have to take your boss for a walk?" Then she had to explain that it was her dog and Boss was short for Boston. I would like to read more books in the series. I was expecting Ginger to have an American accent (that's how I imagine it when I read the books) since I believe she lived in Boston for many years, but she had an English accent. I know she also lived in England. Where does Murder on the SS Rosa rank among all the audiobooks you’ve listened to so far? What was one of the most memorable moments of Murder on the SS Rosa? I loved the book, and I loved hearing it! It helped nail down the accents and affectations of the time period. And as for the mystery itself... Nicely done! I did not guess correctly. 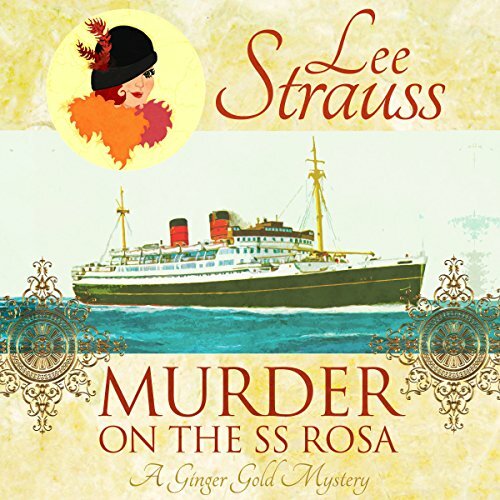 Murder on the SS Rosa by Lee Strauss is a delightful listen. I never saw who the killer was until it was revealed! I love that when an author surprises me. The characters in this short book were very interesting along with the time period. I found the narrator, Elisabeth Klett, did an excellent job with the various characters. The story was very good and kept me engaged. I would definitely listen to more books by this author and narrator. I requested this review copy audiobook and have voluntarily written this review.